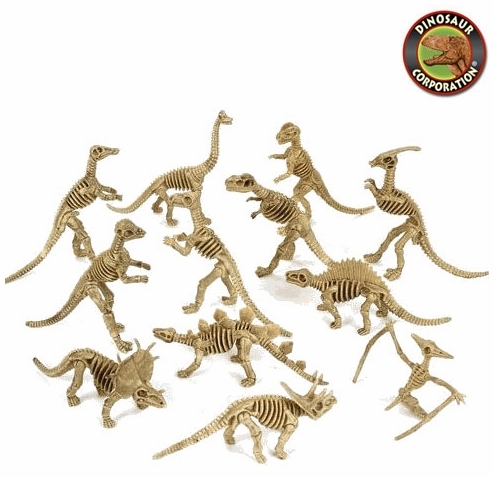 Dig Dinosaur Bones Skeleton Toy at your backyard. Dino dig game is a perfect activity for children at you dinosaur birthday party! Kids will discover dinosaur skeletons in sand! Assorted dinosaurs: T-rex, Triceratops, Brachiosaurus, Dilophosaurus, Pachycephalosaurus, Stegosaurus, Dimetrodon, Parasaurolophus, Pterodactyl, Plateosaurus, Styracosaurus and Edmontosaurus.